The good news from this article in Ajam by Alex Shams (an Iranian-American who previously worked for Maan, the Palestinian News agency) is that some of the original features of the Jewish shrine of Ezekiel at al-Kifl have been preserved and a layer of whitewash removed, although the author admits that the 'Jewish character of the site has been 'de-emphasised'. The bad news is that the ancient holy site has been dwarfed by a new Shi'a mosque. See my comment below. In the 1300s, under the Mongol Ilkhans, a mosque was built around the site, in keeping with a widespread policy of shrine patronage around the empire. The ancient minaret at Ezekiel’s Tomb, which today leans sharply, is thought to be from that era. Its construction began under the Ilkhanid king Oljeitu, who converted to Shia Islam and was known in Persian as Muhammad Khodabandeh. 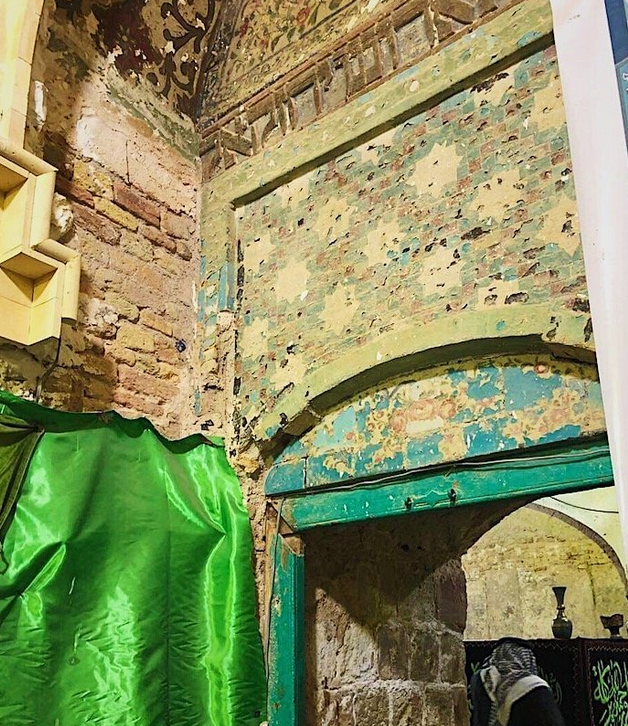 In the early 2010s, an Iranian company was charged with restoring the mosque. Some initially feared that the restoration would compromise the site’s Jewish history, but in the end a compromise was reached: the outer courtyard would be restored as a mosque – which is how it was being used – while the inner sanctum, under the authority of Iraq’s heritage authorities, would be left with its Hebrew markings remaining as they have for decades since the Jews left. 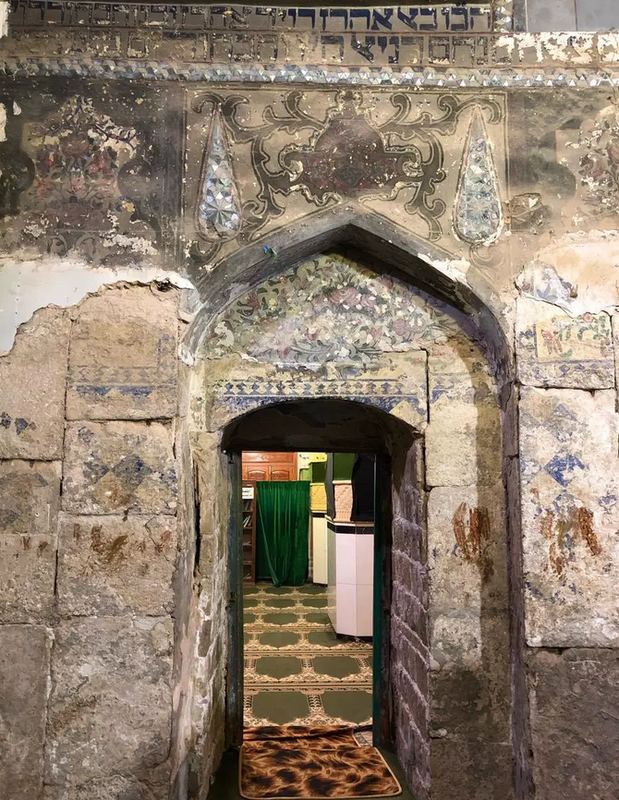 The Iranian company charged with preservation efforts appears to have carried out renovations on the tilework and other aesthetic features inside the sanctum, but otherwise left it as it was. Debates over the tomb’s present and future highlight the complexities of historical preservation at sites holy to multiple communities. Preservation requires balancing respect for those to whom the site previously belonged with the interests of a community that actively uses it today. In the restoration of al-Kifl, however, the renovation of the shrine’s “mosque” included de-emphasizing Jewish features or erasing Hebrew inscriptions that result in more emphasized Muslim character. 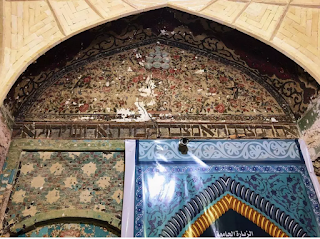 This was intended to make the site work for Muslims who currently worship at the site, while simultaneously preserving Jewish historical features inside the sanctum. 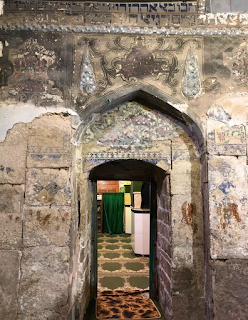 My comment: While it is gratifying to know that some of the original Jewish decoration and Hebrew inscriptions remain around the burial chamber, we do not know what became of the graves of the Geonim, the Jewish dignitaries, including that of Menahem Daniel. Have these been destroyed? 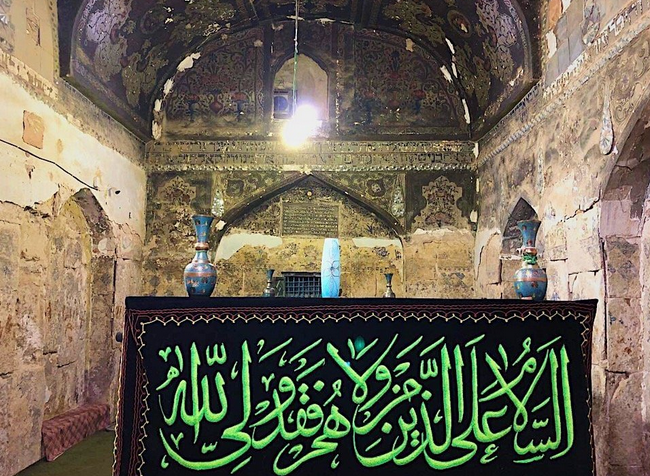 Far from being a 'shared place of pilgrimage', the tomb was always the subject of a battle for control between Jews and Muslims. Since the departure of the Jews in 1950 - 51, it has been increasingly islamised. 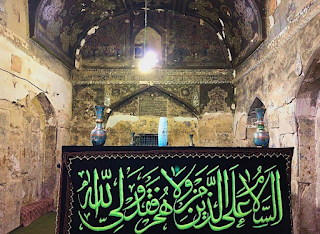 Muslim pilgrims are not told about Ezekiel – this is the burial site of Dhu al-Kifl, a minor prophet in the Koran. There was never an Arabic inscription on the tomb cover until recently. This is not a tomb where Jews and Muslims worship side by side; the Jews have been banished and the Muslims have appropriated it as theirs. 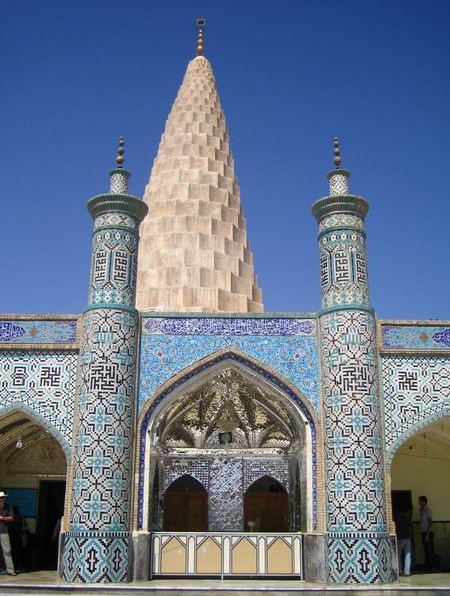 The huge Shia shrine has been built since 2010 and dominates the original shrine. ‘Next Shavuot in Kifl?’ not likely while most Iraqi Jews, now Israelis, are not allowed in the country. Although we appreciate the photos, Shams' revisionist history of Palestine does nobody any favours.